Hello my lovelies, apologies my posts have been a bit thin on the ground of late! I’ve been rather busy you see with a brand new look and feel for WTW and I’ve also been a poorly bunny! But I’m hopefully on the mend now, hurrah! 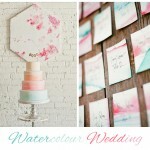 So today I want to share with you a really vibrant wedding inspiration mood board, combining Coral Pinks, Pretty Peaches and Gorgeous Greys… I think this would make a wonderful colour pallet for your wedding and I just adore the brightness of the coral pink teamed with an almost steely blue grey. The soft peaches, greys and whites pull the whole colour scheme together! 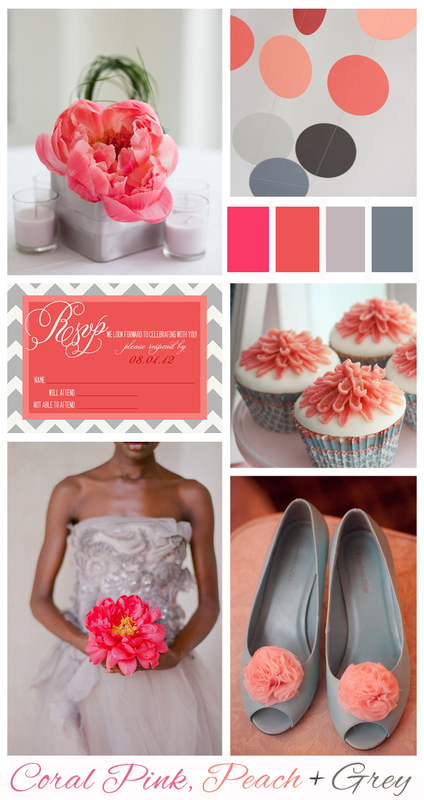 Or how about Coral, Peach & Grey sans the Pink? Gorgeous boards! Fascinating how the coral and peach/pink play off of each other! Beautiful. I love the board. ♥♥♥ – such deep and dark colours but still so pretty!